Q. There are two researchers ([Don] Schmitt and Randle) [parenthetical statement in the original] who are presently saying that the debris in General Ramey’s office had been switched and that you men had a weather balloon there in its place. A. [DuBose] Oh Bull! That material was never switched! Q. So what you’re saying is that the material in General Ramey’s office was the actual debris brought from Roswell? Q. Did you get a chance to read the material and look at the pictures? A. Yes, and I studied the pictures very carefully. Q. Do you recognize that material? A. Oh yes. That’s the material that Marcel brought into Fort Worth from Roswell. Given the way the article is structured and the information provided, that would be the end of the trail. Korff provided no footnotes or references for the quoted material, only that DuBose denied the material had been switched. It leaves the impression that Korff might have conducted the interview, though that is not said anywhere in the article. We just have DuBose quoted as the source with no information on how those quotes were gathered. 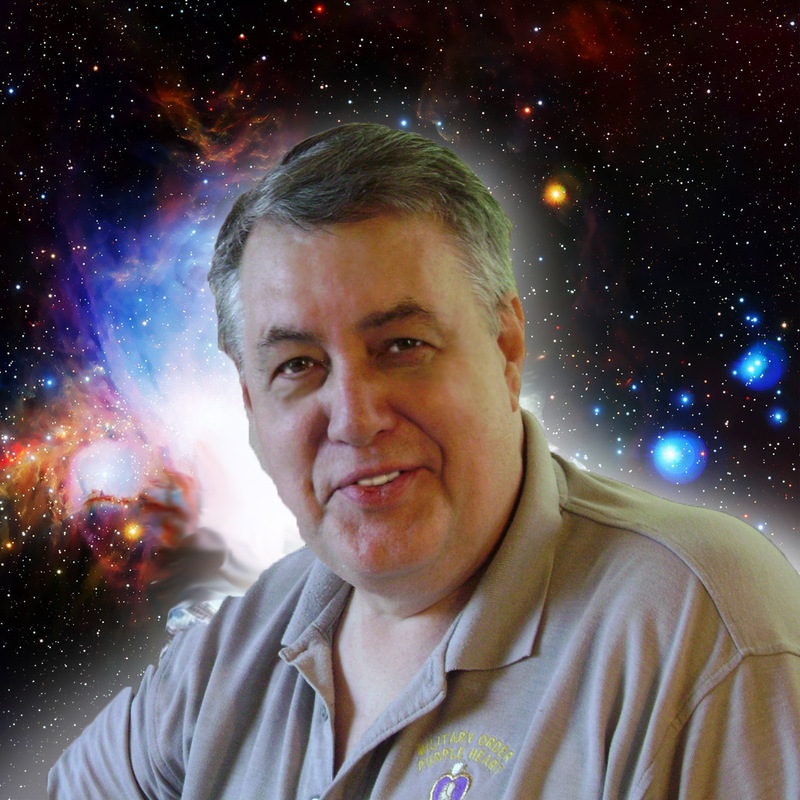 In a revealing interview he granted to UFO researcher and television producer Jamie Shandera, DuBose put to rest the “mystery” of the so-called substituted wreckage and has exposed it for what it is – another Major Marcel myth! The initials “JHS” stand for Jaime Shandera and the initials “GTD” denote Gen. Thomas DuBose. JHS. There are two researchers (Schmitt and Randle) [parenthetical statement in the original] who are presently saying that the debris in General Ramey’s office had been switched and that you men had a weather balloon there in its place. GTD. Oh Bull! That material was never switched! JHS. So what you’re saying is that the material in General Ramey’s office was the actual debris brought from Roswell? JHS: Could General Ramey or someone else have ordered a switch without you knowing it? GTD: I have dame good eyesight – well, it was better back then than it is now – and I was there, and I had charge of the material, and it was never switched. [Emphasis added] [by Korff in the original]. You’ll note that this is the same interview that appeared in The Skeptical Inquirer. The footnotes in the book take us to Focus, Volume 5, (New Series) dated June 30, 1990. It was also published in the MUFON UFO Journal, No. 273, in January 1991. The quotes are the same in all these various locations, so that we have traced the original back to interviews conducted by Shandera. First, according to both General and Mrs. DuBose, Shandera neither recorded the conversation held at the DuBose home, nor did he take notes. We’re left with only Shandera’s claims of what was said, and the information in quotation marks is more likely a paraphrase than actual quotes. There is no way to verify the accuracy of the quotes. Although Shandera has been asked, he apparently did not record the telephone conversation either. He has never suggested that he took any notes during that conversation, so, once again, we have no way to verify the veracity of his claims. On the other hand, DuBose was interviewed in Florida by Don Schmitt and Stan Friedman on August 10, 1991. That interview was recorded on video tape so that a record of DuBose’s exact words is available for review. 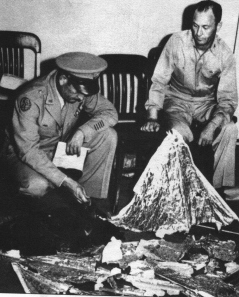 In that interview, DuBose was asked pointedly if he had ever seen the Roswell debris and he responded, "NEVER!" That means, quite clearly, that the debris in Ramey’s office was not what had been brought from Roswell. After the Shandera interview was published, DuBose was again interviewed and asked if he had ever seen the real debris and again he answered, "NO!" And, again, that refutes the information that is traced back to a single source, which is Shandera. This could be construed as just another debate between two factions with no way to resolve it. However, DuBose spoke to others when asked about this particular point. Billy Cox, at the time a writer for Florida Today interviewed DuBose for an article he wrote for the November 24, 1991, edition of the newspaper. Cox reported that DuBose told him essentially the same story that he told the others except Shandera. Here was a disinterested third-party reporting on the same set of circumstances, but he didn't get Shandera's version of the events. I was aware of the recent controversy generated by an interview he (DuBose) had with Jaime Shandera, during which he stated that the display debris at Fort Worth was genuine UFO wreckage and not a weather balloon, as he had previously stated. But I chose not to complicate matters by asking him to illuminate what he had told Shandera; instead, I simply asked him, without pressure, to recall events as he remembered them...he seemed especially adamant about his role in the Roswell case. While he stated that he didn't think the debris was extraterrestrial in nature (though he had no facts to support his opinion), he was insistent that the material that Ramey displayed for the press was in fact a weather balloon, and that he had personally transferred the real stuff in a lead-lined mail pouch to a courier going to Washington ...I can only conclude that the Shandera interview was the end result of the confusion that might occur when someone attempts to press a narrow point of view upon a 90-year-old man. I had no ambiguity in my mind that Mr. DuBose was telling me the truth. Cox isn't the only one to hear that version of events from DuBose. Kris Palmer, a former researcher with NBC's Unsolved Mysteries reported much the same thing in 1991. When she spoke with DuBose, he told her that the real debris had gone on to Washington in a sealed pouch and that a weather balloon had been on the floor in General Ramey's office. But the most enlightening of the interviews comes from Don Ecker formerly of UFO magazine and now the host of Dark Matters Radio on KGRA digital radio. Shandera had called Ecker, telling him that he would arrange for Ecker to interview DuBose about this issue. Ecker, however, didn't wait and called DuBose on his own. DuBose then offered the weather balloon/switch version of events. When Ecker reported that to Shandera, Shandera said for him to wait. He'd talk to DuBose. After Shandera talked to DuBose, he called Ecker and said, "Now call him." DuBose then said that the debris on the floor hadn't been switched and that it was the stuff that Marcel had brought from Roswell. It should be pointed out here that Palmer called DuBose after all this took place. Without Shandera there to prime the pump, DuBose told weather balloon/switch version of events. It was only after close questioning by Shandera could that version be heard. It is not unlike a skillful attorney badgering a witness in a volatile trial. Under the stress of the interview and the close questioning, the witness can be confused for a period of time. Left alone to sort out the details, the correct version of events bubbles to the surface. The point here is that sometimes following the footnotes to their source isn’t enough. You have to explore other avenues of information to ensure that the footnotes are accurate. 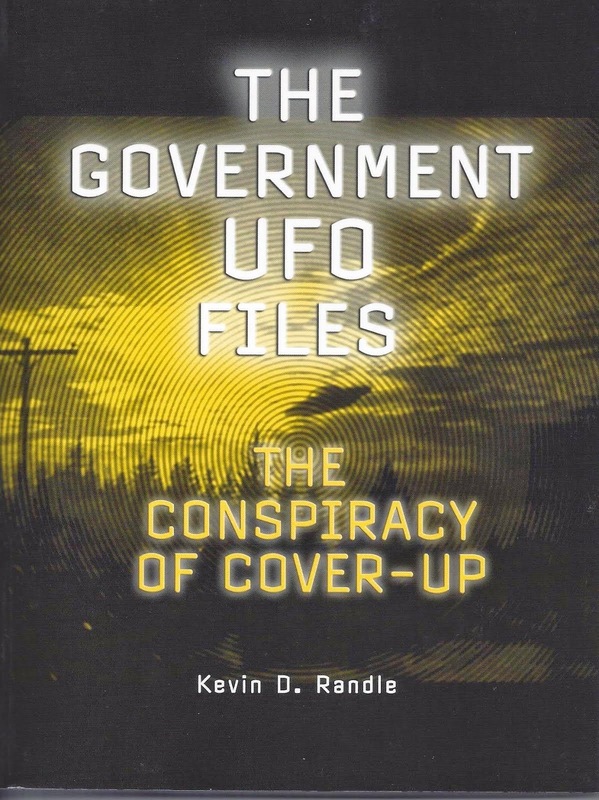 In this case, because I’m immersed in the minutia of Roswell, I knew where to look for the additional information and that additional information paints a different picture than that found if you only followed the footnotes to Korff. 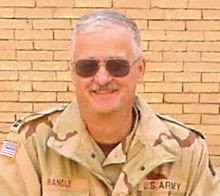 So when Marcel got the stuff to Ft. Worth.....Gen. Ramey told his staff: "Ok, go through that junk pile out back and get some balloon debris to show the media"? I find that hard to believe. For one thing: why balloon wreckage? Why not something like a plane? And secondly why show them anything at all? Tell them it's in the landfill and to forget about it. Based on this, I think it's a fair assumption (more than 50% likely) that we aren't seeing the "real material" in the photo's. The thing that really demonstrates that the stuff in the photos is the actual recovered debris is that the description of it matches exactly what the FBI teletype says. FBI Dallas sent a teletype that day to its HQ and its contents describe virtually what is seen in the photos. Of course the ET protagonists (Kevin among them) will claim the USAF lied to the press AND lied to the FBI, just to cover up what was discovered. Hence Ramey managed to dig up a wrecked balloon to show the press then created a totally false message to inform the FBI. Boy, what a General he was! And, as a third phoney news item, Ramey also gave a radio interview that evening promoting the supposed balloon myth. Marvellous chap this General Ramey. So clever at covering up the discovery of an alien spacecraft, even though he had never seen one before. But of course he knew almost at once what such a thing looked like, didn't he? Incidentally the 'press' that day in Ft Worth in fact consisted of one person only - J.Bond Johnson, who took those pics. Was any other member of the press there, Kevin? If so, who? And why was Johnson ever allowed on the base anyway if it contained top secret material? There was absolutely no guarantee he would not have stumbled upon it during his visit. The whole balloon switch tale is preposterous. Don't forget: Marcel ORIGINALLY told Moore & Friedman that one photo showed the actual debris. Later he contradicted himself. I wonder why. The 'balloon switch' never happened. Period. Considering "Anonymous" doesn't believe in the ETH at all, I wonder why he hangs around websites like this? It's almost like he's trying to convince himself! A man who hangs around gentlemen's toilets, but insists he's "straight"
"Why not something like a plane." A balloon was a lot less trouble than a plane (parts not as big or heavy) and it would make things simpler as it had no pilot they might want to interview. "And secondly why show them anything at all?" Lol if the reporters could see the "real thing" it was more likely to end the affair--for the time being. Showing nothing would fuel rumors of a coverup. Kevin, how big was this “lead lined mail pouch”? Surely if the wreckage at the site was as Marcel described “Three quarters of a mile long and several hundred feet wide”....that’s one hell of a large “mail pouch” to put that into isn’t it? I recently watched an interview with Joe “here’s one I made earlier” Nickell, and he was showing some material that he claimed was responsible for the accounts of memory metal. He said it was plastic that had been “metalised” and that it would be easy to be fooled by this stuff “because they wouldn’t of seen that stuff when it came out in the early 50s”. Slip of the tongue? The interview was one he did for Vice on YouTube. Also Kevin, may I ask your opinion of Ray Stanford and his never ending excuses for not showing his supposed incredible UFO footage. So clear that one can see inside the craft and see the pilot who “is about 3 feet tall and a bald head with pointed ears”. Although, I think Stanford certainly is. I believe in the possibility of ET visitation.....but I think Roswell will never yield anything of value. 70 years later and all we have are a bunch of phony documents and questionable witnesses. Ah, in covering up the story of the millennium.....they were worried about convenience of moving wreckage around? And they could have just tapped anyone at RAAF to say: "Yeah, I bailed out of this thing." As opposed to showing them a balloon and a bunch of foil? Sheeesh. My impression, from the information supplied by DuBose, is that the pouch was about the size of those money bags that are used with armored cars. It wouldn't have held much, but enough so that those at the receiving end would have a a good idea about what was picked up on the ranch. Maybe a few pounds of stuff. J. Bond Johnson was probably the only reported to actually go out to Ramey's office. A reporter for the Dallas Morning News talked with the intelligence officer at the base about 45 minutes before the FBI telex went out. There is that one picture of Newton with the debris, but we don't know who took it. From all that I could learn about if, which wasn't much, it was probably taken by the PIO, but that's a guess. There are stories in several newspapers that suggest the reporters talked to Ramey or members of his staff, but it doesn't seem that they actually went to the FWAAF. He wouldn't have been allowed to roam freely and had he attempted to enter areas considered off limits, he would have been stopped by the military police. CDA, this is a preposterous idea, and demonstrates a lack of knowledge of the situation on military installations. And, there would be no reason to keep Johnson off the base... There were many, many things that weren't classified, so there would be no reason to deny him access. Even today, you can get onto American military bases, but there are areas to which you would be denied access. Places like the flight line, and at Lowry AFB, one time in Denver, there were two buildings surrounded by high, double chain line fences and even the windows were covered by aluminum shutters. On or about July 25, 2018, in the piece “Thomas DuBose and the Switched Roswell Debris” it was stated: “In this latest analysis [“An Extraterrestrial Flying Disk Crashed Near Roswell in 1947: Not a UFO”], it was said that the debris had not been switched, which, of course, means that a weather balloon had been brought from Roswell by Marcel.” However, the recent “A Different Perspective” piece does not seem to mention that the actual words from the above specified latest analysis—“DuBose answered that the material was never switched”—may have been lifted and modified slightly from the published article as they appeared under the piece's heading: “US Government, Ufologists, Skeptics, and Others Contributed to Rare Mixture of Unreliable and Differing Information.” In addition, the results of the latest analysis mentioned above do not seem to unquestionably point to any evidence indicating that a mere weather balloon was brought from Roswell. Please feel free to read or re-read the article “An Extraterrestrial Flying Disk Crashed Near Roswell in 1947: Not a UFO” and decide for yourselves. Regardless, the July 25, 2018 “A Different Perspective” piece was a pretty interesting article about the 1947 Roswell incident . . . Dr. Bob Wenzel Gross . . . There was no record of a balloon crash either. Why would a "record" matter anyway? IIRC, no reporter went to the site anyway (in the immediate aftermath). Why would a pilot have to be heavily rehearsed on a crash? I would think it would be pretty simple: technical trouble/ran out of gas, bailed out, here I am, etc. No MOGUL crash may have occurred at the relevant time and place but at least balloons were being launched and coming down in the general area at roughly the same time. In contrast there was no (conventional) plane crash, and it was more likely to attract attention had it occurred. If Ramey had used a pilot, reporters might demand to ask him questions for which he had to have good, consistent answers. It was far easier and more practical just to use balloon trash. How would the media know of a crash out at the Foster Ranch? By Marcel's own admission, without Brazel's help, they never would have found the site. If Ramey had used a pilot, reporters might demand to ask him questions for which he had to have good, consistent answers. I'm pretty sure a pilot could handle a single reporter. It took me a while to puzzle this out. The only modification that I made was the bracketed comment to clarify the situation. Meaning, that DuBose was saying the material had not been switched from that brought to Ramey's office by Marcel. I don't believe that a weather balloon and rawin was taken to Ramey's office from Roswell, only that this seemed to be the conclusion that could be drawn from the information provided. The overall point of the piece, however, was not to challenge your theory, or anyone else's for that matter, only to point out the unreliability of the information that was drawn from Korff's less than accurate book, and that there were no supports for this statements... meaning that we couldn't verify those statements. This was especially true, based on the information supplied by others named in the article, and by the video-taped information gathered in August 1991. I was trying to ascertain where the information had been originated and since Korff was the reference in the footnote prior to that paragraph and right after it, it was clear where the information originated. Sorry but can't resist this. Jason Kellahin claimed that he not only been out to the area and seen military officers standing around the balloon... but his partner, Robin Adair had taken pictures of it. Those pictures have never surfaced and I have found no newspaper accounts of Kellahin saying, in 1947, that he had been in the field with the balloon. And, Paul Young's comments were a bit over the edge. But with the new format that Blogger is using, it is sometimes difficult to figure out just what is being said until the quote is published. I apologize, but since it is up, and you have commented on it, I leave it there for context. I think you answered your own point. Kellahin's story simply isn't believable. The fact what he said he saw backs my pov doesn't mean I think he is accurate. It was pretty revealing nonetheless. "I believe in the possibility of ET visitation.....but I think Roswell will never yield anything of value. 70 years later and all we have are a bunch of phony documents and questionable witnesses." Just to be clear - do you believe we "may have already been visited" or do you believe in the possibility that it "might happen in the future"? If the pilot survived, he would've contacted his superiors, or they would've known his plane went down, due to a distress call, or radar. Local people would've notified the authorities, if a search hadn't already found him. The media would've found out. As for a pilot handling a single reporters, it depends on the individual(s). It's certainly possible it has happened in the past. But I'm about 100% sure Roswell is not an example of such a case. The same "superiors" who were putting out this supposed cover story in the first place? And how would the media know about what radar showed or a distress call? And if it wasn't for Mac Brazel stumbling across this stuff....nobody would have ever "notified the authorities". His neighbors didn't have a clue this crash had happened. By Jesse Marcel's own admission: without Brazel's help....they never would have found the site. Anonymous..."It was pretty revealing nonetheless." It certainly says a lot about you. It also shows the caliber of person that believes and promotes these theories. "It's certainly possible it has happened in the past." Using a fictitious plane crash as a cover story just wasn't as simple and practical as using a balloon. Why bother to produce a pilot, who would've gone to the nearest dwelling and asked for help, if he couldn't get it himself? Reporters--or later investigators--would've wanted to see the site with wreckage and interview him and those who supposedly saw him. So "it's certainly possible it has happened in the past"? Reminds me of what Sagan, who rejected UFOs, once wrote. He considered the ancient story of Oannes possible evidence of an ET visit. Oannes was a half fish creature who supposedly instructed ancient people. A half fish creature of the remote PAST is considered possible evidence for ET; Sagan also thought we may contact ET via radio in the FUTURE. But if anybody says ET is HERE....right NOW........YIKES!!! Lol, I think the crux of the problem is, a lot of people just don't have the stomach for ET, even if they profess to be fascinated by the possibility. "Using a fictitious plane crash as a cover story just wasn't as simple and practical as using a balloon." They could have said they spotted him by recon (from the air)....no going to any dwelling required. The only people who would have seen him would have been military personnel who picked him up on the ground. (And found the wreckage.) End of story. The possibility doesn't bother me one bit. Statistically, it's probably just about impossible we are alone in the universe. Whether or not that life has come here.....and whether these supposed "crashes" are real are (all) separate questions. In the past covers all sorts of time frames.....needless to say: the United States government was not in business (say) 2000 years ago. What I am simply saying is: I don't think the United States government is capable of concealing hard evidence of such a event for a long period of time. During WWII (and into the late 1940’s) the US experimented with classified chemical and biological weapons (CBW). Many of these projects were conducted out of Los Alamos and other locations in NM. In the post-war era this included plans for balloons and remotely controlled drones to be used as potential delivery vehicles. Some believed the upper air stream could carry these over the Soviets to deliver a toxic payload in a slow release particle mist. In the 1990’s the Clinton administration uncovered the US government had been keeping classified CBW tests from the public for more than 40 years. These involved military men and civilians as unwitting subjects for unethical experiments. The documentation is indisputable. Aircraft, particularly of the lighter-than-air variety, could potentially resolve the quandary of getting CBWs over Soviet targets. Officials obviously needed to test these delivery systems covertly to see if they worked. The classified documents from the 1990’s repeatedly emphasized the secrecy which surrounded these experiments, especially those involving unwitting subjects. Caution was taken to hide unethical experiments. Orders were written to deny anything if they were uncovered. We can comprehend planners wanting to target a location under military control — like a base or missile range. At the same time doing so would disclose these projects to a wider number of personnel. Why not use the open lands in New Mexico without anyone’s awareness? Given this scenario, let’s hypothesize what crashed into Brazel’s field was a classified CBW drone. A high-altitude drone would be constructed of durable lightweight wood, plastics, and metal not previously known to USAAF personnel developed from wartime Allied and Axis materials. — Marcel WAS used as a patsy by Ramey to cover the real story. — Marcel’s confusion over the materials in Ramey’s office becomes explainable. — Brazel WAS detained and examined by RAAF MDs because of greater suspected CBW exposure. — DuBose WAS telling the truth. The real material was switched because place toxic junk has no place in Ramey’s office. And in a lead lined bag too. — The junk WAS carefully collected and flown to Wright because that’s the HQ for Materials Command. — Troops from other bases WERE brought in for clean-up, but few from RAAF because it would reveal the truth to unauthorized and now curious personnel. — Blanchard WAS never told the truth because he didn’t need to know. The USAF ensured years later that he wouldn’t be questioned either. — Higher ups weren’t OK with RAAF publishing their story. It brought unnecessary attention to what they were secretly doing on public lands. — They DID publish the “balloon” cover story as a misdirect to hide unethical and illegal tests. — Cavitt may have come to know the truth so in later years denied everything. — There WAS a second crash site of the main drone and the debris field WAS bigger as claimed. — Decades later McGovern WAS told to keep out of it because he might decide revealing the truth was in the best interest of the public. Why the coverup? Why so long? Why are documents still hidden or even destroyed? Why haven’t they been disclosed? Because the biggest risk is NOT disclosure of alien bodies, but decades of illegal and unethical covert testing on US citizens and military personnel. Embarrassment and the risk of billions of dollars in law suits against the government is plenty of reason for a 70 year cover up. Wait long enough and the people involved are dead and no longer a legal risk. Even now there’s no reason for the US government to disclose this. Maybe the truth is Roswell is the tip of a gigantic iceberg for many more illegal tests on unwitting people. If you believe they can hide ET for 70 years, then you must accept they can hide this just as easily. In fact they have MORE motivation to hide this — National and global embarrassment, billions lost in decades of law suits, and loss of faith in public government. I'd be more concerned over the calibre of a person who haunts a blog simply in order to, relentlessly, attempt to belittle the content of the subject matter. "Total agree, however I bet someone will still ague you the point with you..."
Lol, you win. I don't believe a group of military men could come onto private ranch land and pick up airplane debris, besides rescue a pilot, without SOME civilians knowing about it. There are been other instances of unethical testing, for example, studying syphilis by injecting the pathogen into black men. IIRC there were also unethical studies of the effects of nuclear bomb radiation. And other events like Watergate, which could've led to "loss of faith in public government." “In the 1990’s the Clinton administration uncovered the US government had been keeping classified CBW tests from the public for more than 40 years. These involved military men and civilians as unwitting subjects for unethical experiments. The documentation is indisputable. Brian, what is your source for these allegations? You often allege “historical facts” but rarely cite your sources. As Kevin has adroitly pointed out, we need to “chase the footnotes” in our evaluation of this subject. If the sources you cite turn out to be faulty, I certainly wouldn't accuse you of being deceitful or incompetent. We all get duped from time to time by what we read on the internet and in books and what people tell us. First, are you saying that some component of the U.S. Government might have placed into civilian U.S. airspace a craft made of materials not “known to USAAF personnel” which of course, could and did crash on American soil? If true, I believe that story would almost be as sensational as the flying saucer one. Also, if such a thing happened, why didn't the Air Force reveal that in 1994 instead of the Project Mogul nonsense? On one hand, you claim that what crashed may have been one of these CBW drones and then you say the government would not want the public to know about the drones because said drones were part of some illegal and unethical testing. But wait a minute, if they wanted to and (still want to) keep the program secret for this reason, how did YOU find out about it? Since the cat is out of the bag, why won't the government just admit this is what crashed? The second problem with your hypothesis is that there is absolutely no evidence, anecdotal or otherwise, to support it. There are no whistle-blowers of any ilk, credible or not, who have come forward to say that a CBW drone crashed. Nor is there any documentation indicating same. Conversely, In support of the ET crash theory, there are many people (some credible, some not) who have supported the notion to some extent that it was an ET event. This of course is not scientific proof that it was ET, but at least some evidence pointing in that direction. “Why the coverup? Why so long? Why are documents still hidden or even destroyed? Why haven’t they been disclosed? 1) 1932-1972 – The Tuskegee Experiment – The U.S Public Health Service, falsely treated 339 African Americans for syphilis by not telling them they had the disease and not treating them. Instead they merely observed their progress while the disease spread. 2) 1950 – Operation Sea Spray - the U.S. Navy sprayed large quantities of the bacteria Serratia marcescens over the city of San Francisco. Numerous citizens contracted pneumonia-like illnesses, and at least one person died as a result. 3) 1950s-Operation Big Itch, Operation Big Buzz, Operation Drop Kick and Operation May Day during which mosquitoes were dropped over U.S. Cities to see if they would survive to take meals from humans. Brian, you are a very intelligent man. I respect your skepticism and I believe you have made a number of valid skeptical points on the UFO topic in this blog. But I think you are somewhat off-base on these specific points. Coming from a guy who cracks bathroom/toilet jokes? Ok. And I am not attempting to "belittle" anyone. But when it comes to Roswell, at this point, I strongly disagree that it involved anything ET. Good point. That's one of the things they were covering up out at Area 51.....not aliens....but the fact they were disposing of waste in open pit burning. You realise that you, and I, are losing this debate fast. Those guys who have such high IQs are too clever for us. I won't name them of course, but it is clear we cannot hope to win against them. We must, regrettably, concede defeat. Yes, part of the problem with the debunkers - if you don't accept the project mogul explanation you must be a "conspiracy theorist" or a "raving saucer nut". 1. The US government has carried out secret programs that only by chance or direct investigation have become public knowledge showing they’re capable of hiding things for long periods when motivated by exposure or embarrassment. 2. That Roswell need not be exclusively an ET crash, and by nature of the legitimate testimony that ETH’ers consider worthy, can fit nicely into other plausible explanations that yield the same data points as the ETH. 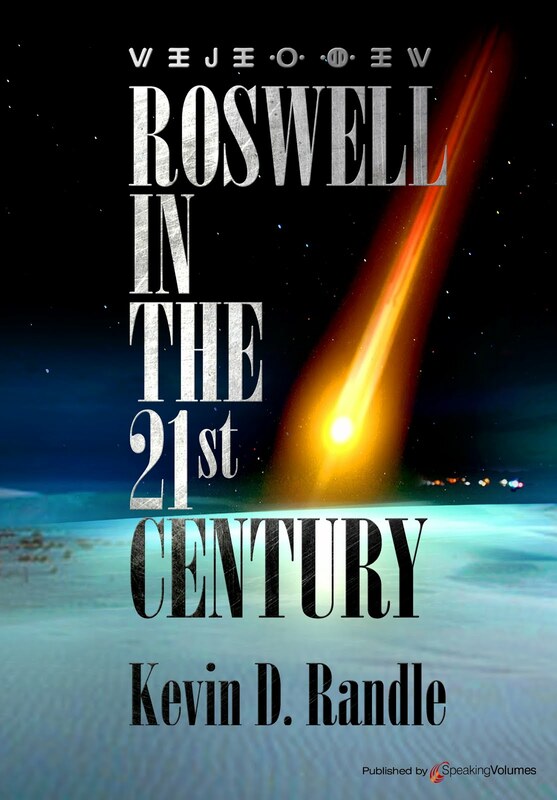 So Roswell MIGHT fit the story of a plausible mishap of a covert CBW test that remains classified or has since been buried merely because of legal risk. Don’t underestimate the power of thousands of people claiming their fathers or grandfathers were exposed to unethical tests and the impact that would have on present day politics. 1940 — 400 prisoners in Chicago are infected with malaria to study the effects of experimental drugs to combat the disease. Nazi doctors on trial at Nuremberg cite this American study to defend their own actions during the Holocaust. 1942 — Chemical Warfare Services begins mustard gas experiments on approximately 4,000 servicemen. The experiments continue until 1945 and made use of Seventh Day Adventists who chose to become human guinea pigs rather than serve on active duty. 1943 — In response to Japan's full-scale germ warfare program, the U.S. begins research on biological weapons at Fort Detrick, MD. 1944 — USN uses human subjects to test gas masks and clothing. Individuals were locked in a gas chamber and exposed to mustard gas and lewisite. (B) Project Paperclip is initiated. The U.S. State Department, Army intelligence, and the CIA recruit Nazi scientists and offer them immunity and secret identities in exchange for work on secret government projects. (C) "Program F" is implemented by the Atomic Energy Commission (AEC). This is the most extensive U.S. study of the health effects of fluoride, which was the key chemical component in atomic bombs. The information is squelched in the name of "national security" because of fear that lawsuits would undermine full-scale production of atomic bombs. 1946 — Patients in VA hospitals are used as guinea pigs for medical experiments. In order to allay suspicions, the order is given to change the word "experiments" to "investigations" or "observations" whenever reporting a medical study. 1947 — Colonel E.E. Kirkpatrick of the U.S. Atomic Energy Commission issues a secret document (Document 07075001, January 8, 1947) stating that the agency will begin administering intravenous doses of radioactive substances to human subjects. Bear in mind all of these only became known as a result of official inquiries and investigations, not random or scheduled declassification of documents. Quite a lot of well read people don't believe everything their government tells them. And neither do I. But it takes an experienced person to know what they are typically up to. So you're experienced enough to know when...and when not...the government are lying to you? Chuckle...what a pompous twerp you are. "What I am simply saying is: I don't think the United States government is capable of concealing hard evidence of such a event for a long period of time." What is your definition of a "long period of time". We know you probably mean somewhere between 2 weeks and 70 years but can you define it with greater precision please? They are always lying.....it's just a question of what it's about. That's where experience comes in. So your "experience" is proof enough to you that the ETH is a non-starter? One has to wonder what life experiences you've had that makes you come to such a concrete conclusion. Let me put it to you like this: when Jesse Marcel thought he had recovered alien debris.....how long was it before the RAAF was blabbing it to the media? That's about how long. But even if a more cautious group of officers made such a find....I'd give it a year or two (tops) before foreign Intel was all over it.....then the international media. Speaking of the international media....who was the first outlet that broke the Iran-Contra affair? A Lebanese magazine. That's the kind of "secrecy" that we live in. Anonymous...but I asked what is your experience that means the ETH is a non-starter? Nothing. This is about Roswell and the government concealing solid proof of ET visitation. This is not about have they ever visited here. I cannot prove they have/haven't......but as far as Roswell goes: I'm 100% sure that didn't involve anything ET. But you kept going on about "experience" tells you when the government is lying to us...but now you're saying you don't have any real experience on the matter? You are misunderstanding what I am saying. You asked "what is your experience that means the ETH is a non-starter?". And the answer to that is: nothing. What you don't seem to realize here is: the fact that Roswell is (most likely) a hoax.....does not automatically exclude the possibility that we have been visited by ETs at some point. So nothing in my experience excludes the possibility of ET visitation.....however my years of observing and reading on our government (as well as other governments) and its Intel agencies convinces me that a Roswell event could never have been concealed. Does it not (for example) give you pause that not a single double agent/defector to the USSR breathed a word of this to them? (People like Kim Philby and Aldrich Ames.) Or vice versa? Of course not. I'm not mis-understanding anything that you were saying. You said that your "experience" tells you when the government is lying...and that you know "what it's about"
Anonymous..."But it takes an experienced person to know what they are typically up to." Anonymous..."They are always lying.....it's just a question of what it's about. That's where experience comes in." I'm merely picking you up on your own comments...and then, finally, you admit that you haven't really got any kind of "experience" which allows you to know what the government is lying about, at all. Chuckle. It's so amusing watching you fall over your own statements. What kind of experience did you think I was talking about? That I'm 007? Of course not. I am talking about doing the homework you people never do. How many books for example have you read on Intel (that didn't involve UFOs)? I'm willing to bet (if you are honest) next to none. Doing things like that would help you understand what is abnormal or normal in the Intel game. And it would keep you from making such ridiculous claims (as you did in the other thread) such as the Manhattan Project was successfully concealed (when it was crawling with Soviet agents). I will concede that you have probably read more books on Intel than I have. However, I spent 10 years in both the active Air Force and Air Force Reserve and several years as an Army intelligence officer including a combat tour in Iraq. I realize that you were responding to Paul Young, but I just thought I would point this out for what it's worth. I am (of course) aware of that. But if this is indeed the truth (i.e. that Roswell involved a ET) we are talking something that is completely unprecedented in Intel. Something that might well be studied for thousands of years (within Intel alone): a ET craft crashed on Earth.....and a 70+ year reverse engineering project (that likely has employed hundreds of thousands, if not millions by this point) has completely eluded the foreign Intel services (as well as the media) of every first world nation. (After all, I trust you are aware that friends spy on friends.) This is the part that is so hard for me to believe. It's not just the secret.....it's how well it has supposedly been concealed. It simply doesn't fit a single thing I am aware of in Intel. Not a one. anonymous...."and a 70+ year reverse engineering project (that likely has employed hundreds of thousands, if not millions by this point) has completely eluded the foreign Intel services..."
"millions"? Where did you pluck that number up from? Why would millions of people be involved in reverse engineering a piece of hardware, where the incentive to keep it quiet would be huge?